Tennis: Federer avenges Wimbledon loss to Anderson and Nishikori fades away against Thiem at the ATP Finals in London. Roger Federer pulled out yet another rabbit from his hat to beat the red-hot Kevin Anderson 6-4, 6-3 at the ATP Finals in London. Meanwhile, Kei Nishikori, the only player to beat Roger so far, was sent packing home after a 6-1, 6-5 loss to Dominic Thiem. 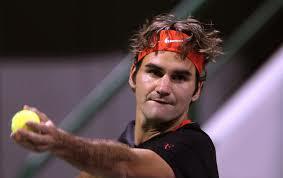 What does the win do for Roger Federer? The win against Kevin Anderson guarantees a semi-final berth for Roger Federer and helps him avoid the clash of the Titans, against Djokovic, until the finals, unless Novak loses to Marin Cilic. Roger Federer, moreover, avenged his Wimbledon’s loss to Kevin Anderson and also inched closer to his 100th career, and 7th ATP Finals, title. Such milestones would be incredible for even an in-prime, let alone 37 years old, Roger. Roger Federer versus Kevin Anderson. The match was, more or less, controlled by Roger Federer, who broke Kevin Anderson two times in both sets and that in itself was an achievement because Anderson did not face a break-point in his first two matches. Federer kept this encounter tight with 18 winners and 14 unforced and by dictating the points and drawing Kevin in with his short backhand slices. Kevin, on the other hand, came off with 13 winners, 10 of which came on his serve, and 24 unforced errors, and seemed a little out-of-sorts in the match. Despite the loss, Anderson too qualifies for the semi-finals in his ATP Finals debut. Kei Nishikori versus Dominic Thiem. After producing the performance of his life against Roger, Kei Nishikori simply faded away in his clashes against Anderson and Thiem. Dominic Thiem’s big-swing, on his ground shots, and his court positioning during the points is not an effective one on the fast indoor courts. Nishikori’s 6-1, 6-4 loss against Thiem, therefore, is a little surprising considering Kei’s win against Roger – the consummate master of the fast indoor courts. Both Dominic and Kei are out of the ATP Finals while Roger and Kevin move on to experience another day at the O2 arena in London. ← Tennis: Alexander Zverev and Novak Djokovic win their openers at the ATP Finals in London.